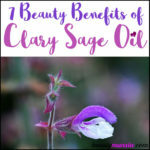 Top 6 Beauty Benefits of Yarrow Essential Oil - beautymunsta - free natural beauty hacks and more! Have you heard about the florally captivating yarrow? 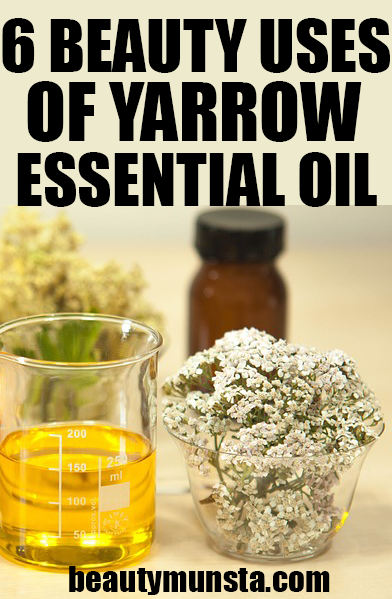 There are so many beauty benefits of yarrow essential oil that you should know about! The yarrow plant is an herb. 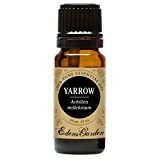 Yarrow essential oil comes from the distillation of yarrow flowers. The yarrow plant is beautifully endowed with different colors of flowers, ranging from white to pink. The botanical name for the yarrow plant is Achillea millefonium. Yarrow essential oil is renowned for its beautiful and sweet smell. It has a spicy smell and a watery viscosity. The yarrow plant thrives in the temperate region and it’s a perennial plant that could grow up to the height of 1 meter. It leaves are feathery-like. Yarrow essential oil has a deep blue colour. 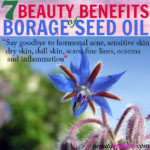 Also, it has a lot of therapeutic properties, some of which relate to beauty and others health. The beauty properties of yarrow essential oil are: anti-inflammatory, astringent, and antiseptic. You will quite agree that your appearance says a lot about you. No wonder many people are always in search of beauty tips that will make them look presentable, beautiful and attractive. There are beauty benefits of yarrow essential oil and we are about to enumerate them. It is a plain truth that even when an individual is getting older in years, he wants to maintain a younger look. Well, the astringent property of yarrow essential oil can make that possible. The astringent property in this essential oil can enhance the condition of saggy and wrinkled skin, thus making your skin fresher and younger, thereby making you look younger than your age. 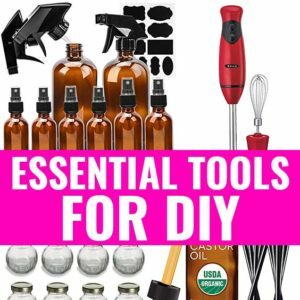 You can prepare a do-it-yourself yarrow essential oil for anti-aging purpose using the following ingredients and methods. Get a cosmetic jar and thoroughly mix all the ingredients mentioned above in it. Apply the mixture to the fine lines on your forehead and your winkles. 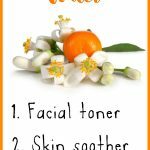 You can apply this to a clean face 1 – 2 times daily. Consistency is the key here. Yarrow essential oil is good for treating swollen spots, redness and breakouts on the skin. People suffering from eczema, rosacea and other skin problems can look up to yarrow essential oil for help. Wash the affected area and apply some drops of the essential oil to it. For a thicker and longer hair, yarrow essential oil is able to help out. 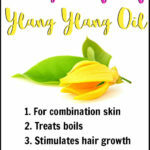 It aids the growth of hair and it can be used to treat some scalp conditions. Simply add some drops of the yarrow essential oil or get a yarrow beauty serum and apply to the hair and scalp. 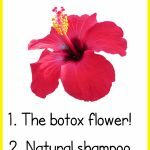 It will help your hair grow longer and become thicker too. The antiseptic property is also one of the beauty benefits of yarrow essential oil. This property makes it useful in treating acne, pimples and superficial wounds. 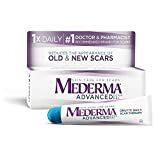 It prevents pimples from becoming septic, thus preventing it from other viral, bacterial or fungal infections. Yarrow essential oil offers speedy recovery for wounds and scars. Simply apply the diluted oil on your skin regularly. Yarrow essential oil can effectively diminish the appearance of scars and marks on the skin. Use yarrow essential oil to clear wound scars, acne scars, after birth marks, pimples scars and others. Positive results can be quickly seen within few weeks of applying yarrow essential oil. Simply apply the diluted oil on the affect area regularly.